Chris Black is the managing director of Sound Leisure, established in 1978 and one of only two surviving manufacturers of hand-built jukeboxes in the world. 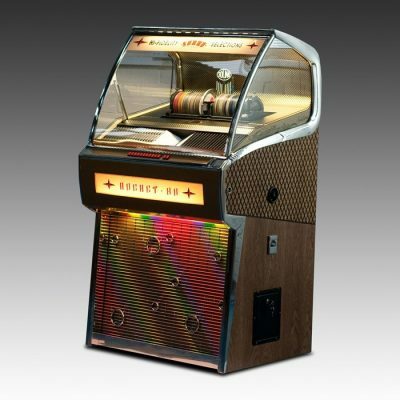 The company, which has long offered Bluetooth-connected CD-playing jukeboxes, recently launched its first vinyl-playing jukebox. “And that means it is,” says Black, “just what a jukebox should be”. “When my father said he was going to manufacture jukeboxes in Leeds, back in the late 1970s, a lot of people thought he was nutty. 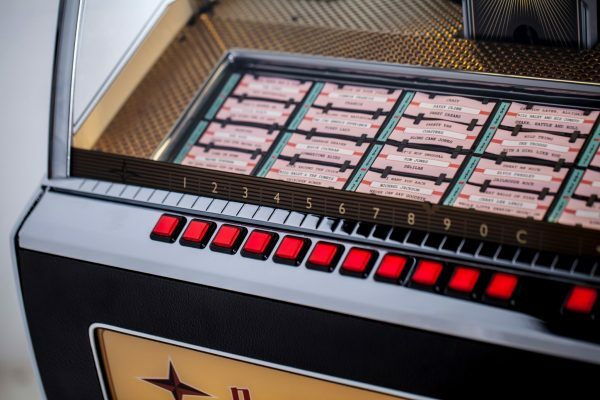 Jukeboxes were quintessentially American, they’re typically passed down through generations and there seemed little appetite for anything new in that market. He was right in a way – most of the really famous makers, the likes of Wurlitzer, have since fallen by the wayside, in large part because what was left of the industry chased ever cheaper prices. And there’s still a sense, given the advances in audio technology, that having a jukebox is like having a horse or cart when you could have a Ferrari. 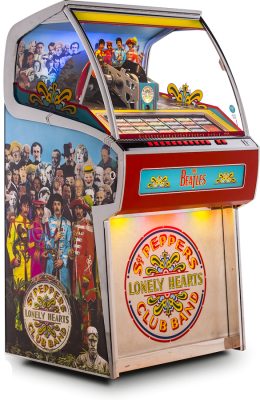 Yet mention jukebox to most people and they know exactly what you’re talking about – it’s an iconic design and, while the pub trade for jukeboxes has more or less gone, more and more people want one in their home, like they do a real coal fire or an Aga. Lots of people like music of course, and lots of people appreciate that a jukebox has a very distinctive sound – there’s more bass, and more of a boom to it, unlike the very crisp sound of a modern hi-fi. 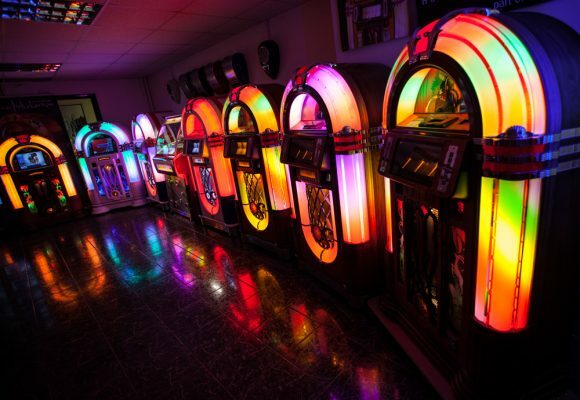 But unlike a boring box in the corner of a room, a jukebox just draws people in. They want to have their picture taken with it. It’s a happy-go-lucky product, but, in an age in which the things we buy are increasingly disposable, or quickly outmoded, a jukebox can also still be an example of old-fashioned craftsmanship – in not just the electronics, but the wooden cabinetry, for example. One of our jukeboxes takes 70 hours to build. There are jukebox purists who say ‘why buy a new one when you could buy an original?’. 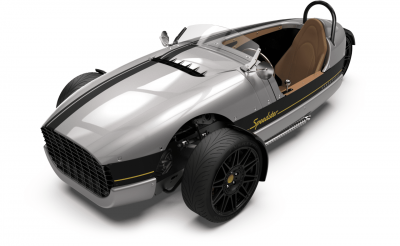 But a new jukebox is more like a replica classic car – it’s all the style without the maintenance. You don’t have to repair it every time you turn it on. Besides, purists are less and less sniffy because they appreciate that we’re adding to jukebox history. 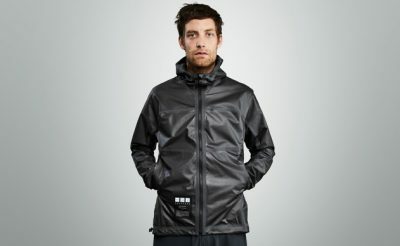 These will be around in another 50 years. 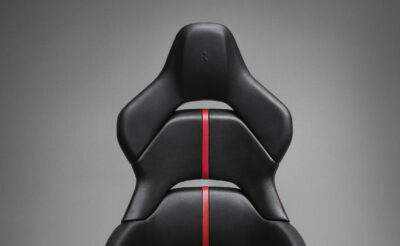 We’ve engineered them to make sure that’s the case. 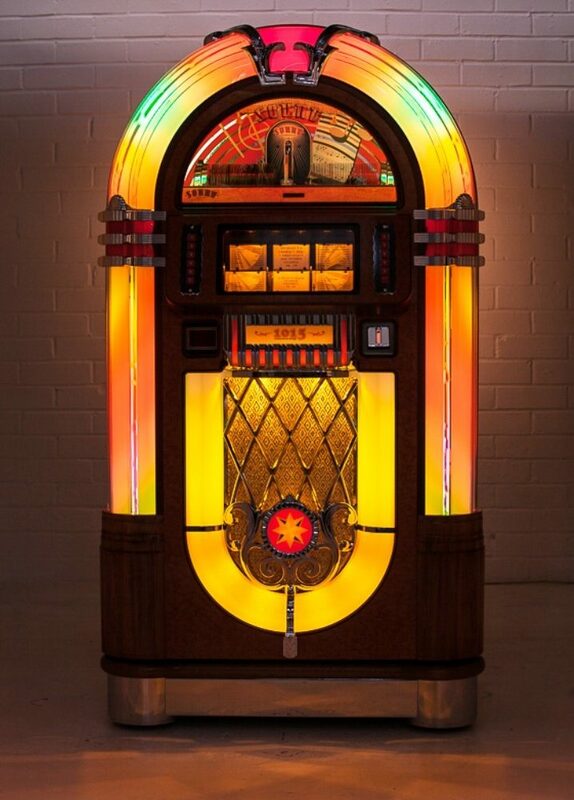 The rotating round of fluorescent lights that characterised the classic look of a jukebox is now produced using LEDs rather than bulbs. The liquid in the bubble tubes of the old machines that was found to be carcinogenic has been replaced, so now if you smash one you get to live, which is a bonus. And even the plastics are of riot shield strength, so if you have a particularly rowdy party your jukebox will survive.